L to R: Shane Delahunty, Brendan Walsh, Richie Foley, Eoin Brackett, Adam Crowe, Mark Ferncombe (Capt. ), Stephen Enright, Stephen Slater, Stephen Lanigan, Willie John Kiely, David Shanley, David Hickey, Eddie Moore. 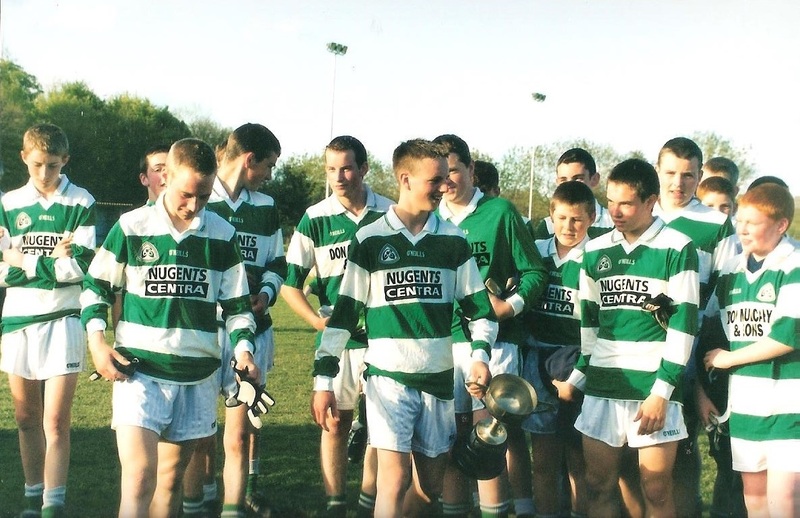 This week's photo shows our U16 Footballers contentedly walking off the pitch following victory in the Western Final in 2003. This title was the second of three in a row divisional crowns, which were subsequently added to with three county titles.